Geneva, 19 December 2016: The UN World Wildlife Day will be celebrated on 3 March 2017 (WWD2017) under the theme “Listen to the young voices”, announced today by the CITES Secretariat, the global facilitator of the Day as designated by the United Nations General Assembly. According to the United Nations Population Fund, some 1.8 billion people, or nearly one-quarter of the world’s population, is aged between 10 and 24, the age range defined by the United Nations as “youth”. Yet, concerns have been raised about trends in youth’s environmental attitudes, beliefs and behaviour, suggesting a decline in personal responsibility for wildlife conservation and environment as a whole among the youth. CITES Secretary-General, John E. Scanlon, said “Given the current rate of poaching and smuggling, will future generations one day speak of elephants, rhinoceros and many other endangered species as we speak of mammoths: magnificent creatures belonging to the past? We must not and will not allow this to happen”. “It is the responsibility of each generation to safeguard wildlife for the following generation. We have not yet succeeded in securing the future of the world’s wildlife. Meeting this challenge will now be shared with the next generation. To succeed we must fully harness the innovation and energy of youth, and combine it with the wisdom that comes with experience, if we are to make the change we need to happen. We are confident that some of the youth will dedicate their lives to the conservation of wildlife which is such a great cause, yet our hope is that all the youth will be personal ambassadors for wildlife conservation — which is key to our future survival: people, animals and plants. This is the message behind the theme ‘Listen to the young voices’”, added Scanlon. WWD2017 gives us a new opportunity to provide incentives to the youth to tackle conservation issues. It is also an opportunity for them to engage with one another and together forge an inspired path to a better world. The youth can also express themselves in shaping demand reduction strategies to curb illegal wildlife trade for the future, and debate issues around the ecologically sustainable use of wildlife and how one can ensure local benefits. The UN General Assembly requested the CITES Secretariat, in collaboration with relevant organizations of the United Nations system, to facilitate the implementation of UN World Wildlife Day. The CITES Secretariat will continue to work with UN system organizations and other international and national governments to mobilize the worldwide celebration of the Day in 2017. 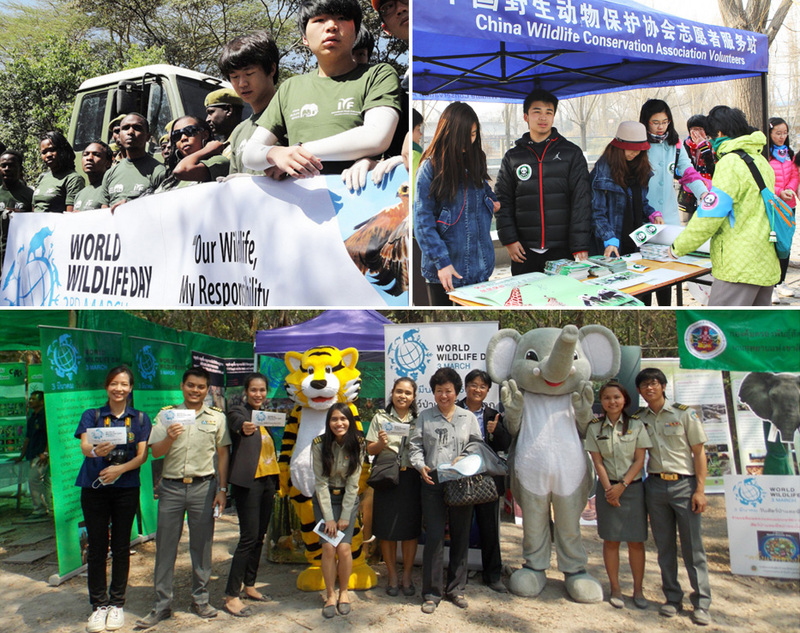 In line with the UN General Assembly resolution, the CITES Secretariat reaches out to all member States and organizations of the United Nations system and other global, regional and sub-regional organizations, non-governmental organizations and all interested individuals, to: observe and raise awareness of theme for WWD2017 in an appropriate manner; to associate WWD celebrations to major national and international conservation events, where appropriate; to organize campaigns to reduce the demand for illegal wildlife and their products using targeted strategies in order to influence consumer behavior; and to make use of the WWD logo as widely as possible. As requested by the new UN General Assembly on Tackling Illicit Trafficking in Wildlife adopted in September 2016, the CITES Secretariat will work with the President of the UN General Assembly to organize a high-level thematic discussion at UN Headquarters on the global observance of World Wildlife Day, including on the protection of wild fauna and flora and on tackling illicit trafficking in wildlife. At the 17th meeting of the Conference of the Parties to CITES, a first ever Resolution on youth was adopted which calls for engagement and empowerment of the youth in conservation issues. 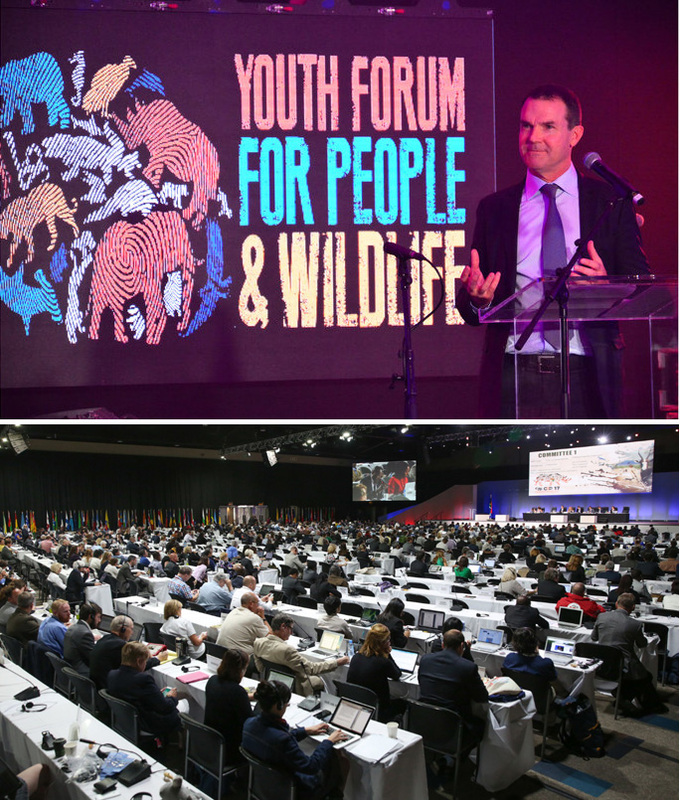 The Resolution also welcomes the Youth Forum for People and Wildlife and South Africa’s Youth and Conservation Programme to engage young people and serve as examples of ways to integrate youth in wildlife conservation. The World Wildlife Day logo remains the same. It is available, and free to use, in the six UN languages from the World Wildlife Day website. Graphic materials to illustrate the theme will be made available at a later stage. The hashtags for WWD2017 are #youth4wildlife and #YoungVoices.